Good Advertising and Marketing is the key to attract more buyers! Of course, the actual product matters. But, the secret lies within your advertising skills. If you are good at describing something, then trust me you can even sell potatoes online just by telling how great the crinkle-cut fries are. Make no mistakes though; we are not promoting false advertisement. Just be honest about everything. 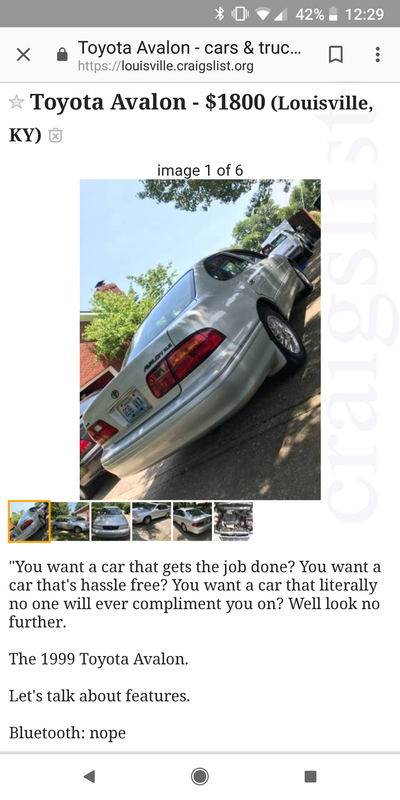 More precisely, be as honest as this one particular guy from Craigslist who put up an ad for his 1999 Toyota Avalon. 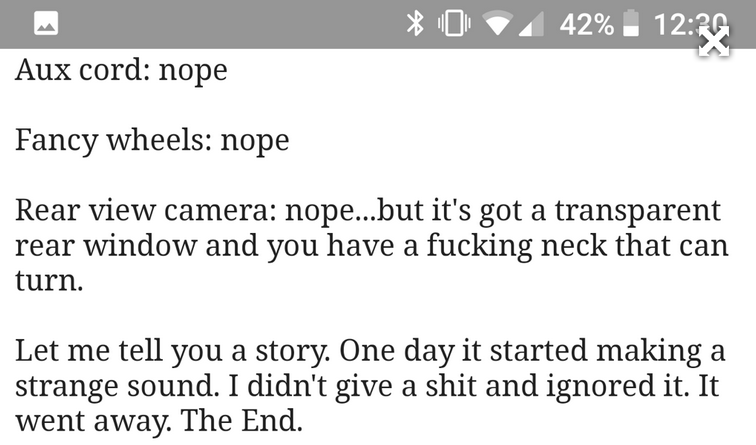 You see, this guy from Craigslist was so brutally honest about his car that the details are just too much to handle. Scroll on below and take a look at this legend! 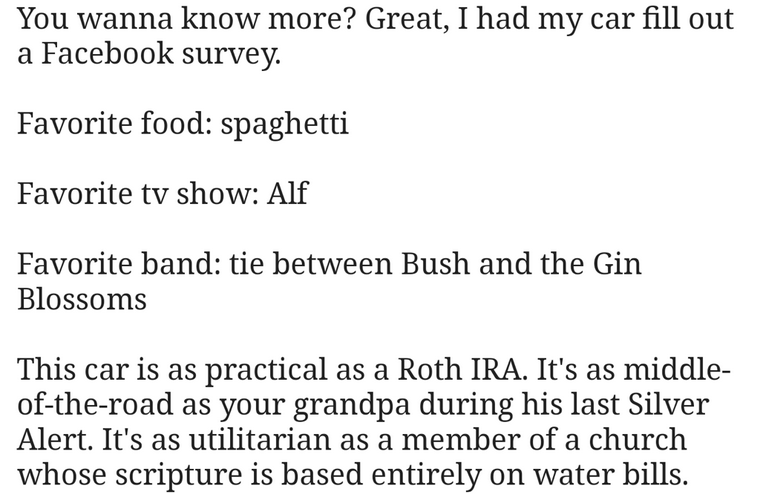 Here’s what he originally posted. Obviously, this is an expression. 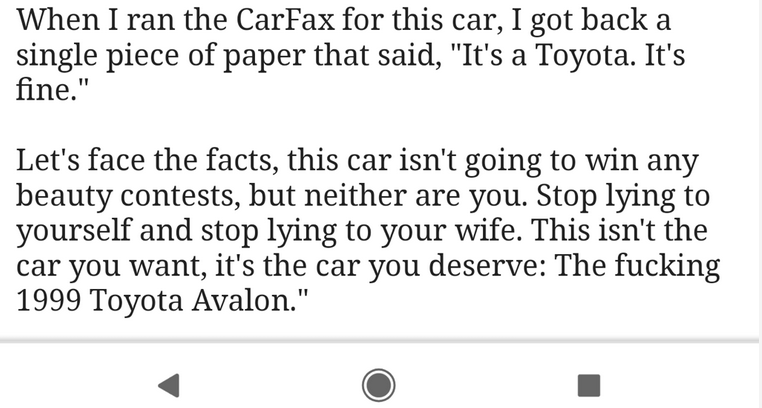 But, if you know how Toyotas work, then you know he is just telling the truth. 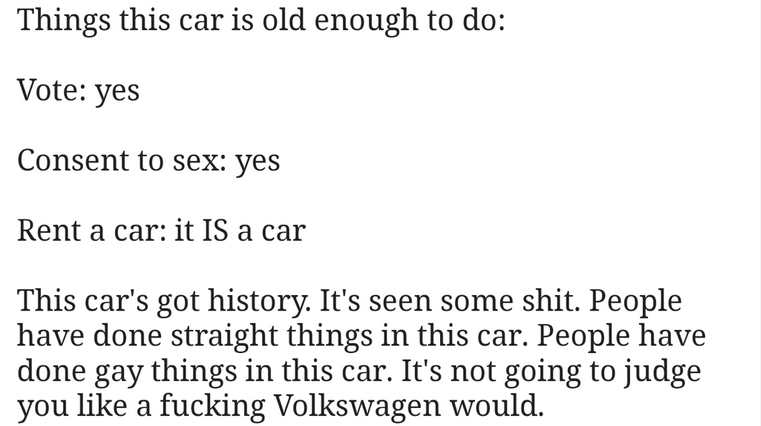 In short, the car is alright. Damn, this car is better than Lamborghini. 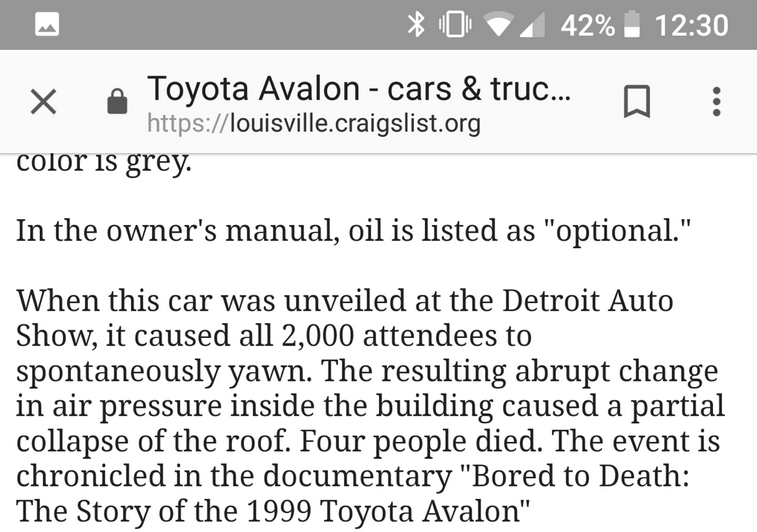 Remember, you are not choosing this car. This car is choosing you, so you better be grateful. Thank you. Do you all agree with this? And if so, how many of you are up for buying this absolute beauty? Let us know in the comments below!